Skill and compassion go hand in hand when providing exceptional patient care. As dental professionals, we stay up to date on the latest advancements in dentistry in order to provide the most current treatment options for my patients. We recognize that our patients are unique individuals who have placed a great deal of trust in our team. That is just one reason why we value each and every patient relationship. Dr. Cyrus Allafi is committed to providing the highest quality dental care for families in our community. He seeks to educate every patient about the state of their oral health and obtain complete oral health. Dr. Allafi was born and raised in Montgomery County. He received his bachelor’s in Biology at the Johns Hopkins University and his Doctor of Dental Surgery degree from the University of Maryland Dental School in Baltimore, MD. He is a proud member of the American Dental Association, Maryland State Dental Association and is active in the Maryland Implant Society. 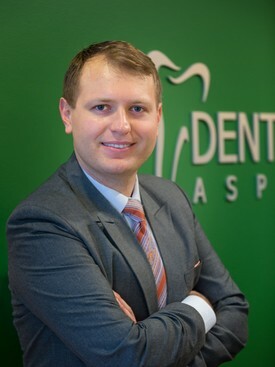 Dr. Allafi is committed to lifelong learning in the dental field and attends many continuing education courses each year to stay on top of the latest dental techniques and materials available in modern dentistry. His experience and training in topics such as implants, oral surgery, and prosthetics translate into advanced care at the practice. Dr. Allafi resides in nearby Rockville, MD with his wife (Dr Saba) and their daughter. Outside of the office he likes bicycling, hiking, gardening, and traveling. He engineered one of the first private natural pools in Montgomery County and is experimenting with different gardening techniques in their backyard. Dr. Saba understands that every patient’s needs are unique and provides a treatment plan tailored specifically to the patient. She takes the time to listen to each patient and makes sure that their dental experience is as comfortable as possible. 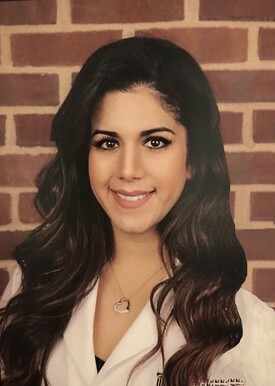 Dr. Saba graduated from Richard Montgomery High School in Rockville and continued her education at the University of Maryland – College Park, where she received her bachelors in Biochemistry. She continued her education at the University of Maryland – Baltimore, College of Dental Surgery where she graduated in the top third of her class. At graduation she was awarded the American Academy of Oral-facial Pain Award. Dr. Saba’s passion is food – her two favorite cuisines of food are Peruvian and Persian. If you haven’t tried either ask her for recommendations to local restaurants. Her second favorite thing to do (and it’s a very close second) is to travel. After hours she runs a seasonal outdoor Yoga studio in Rockville called Yoga in the Secret Garden. Dr Halary is a graduate of University of Maryland Dental School and recently completed her General Practice Residence at Harlem Hospital in New York. She enjoys all aspects of dentistry and the versatility is has to offer and is dedicated to continuing education to enhance her skills in cosmetic dentistry, prosthodontics, periodontics and endodontics. 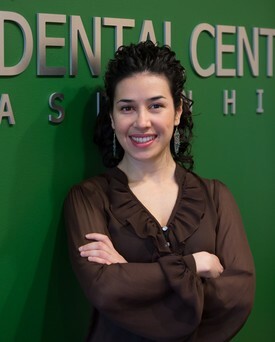 She is excited to join out team at Dental Center of Aspen Hill and treat our diverse patient population. Dr Halary grew up and continues to live in Silver Spring. In her free time she likes to travel and try new foods and experience new cultures. Dr. Gapud understands that every patient comes from different backgrounds and past dental experiences. Having had negative dental experiences himself, he is able to empathize with patients who have anxiety in the dental chair. 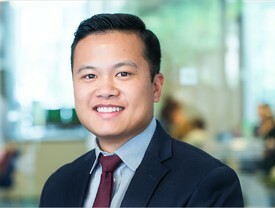 He is passionate about educating patients so that they feel empowered to make the best decision for themselves. Dr. Gapud moved from his home state of South Carolina after attending the University of South Carolina to attend Howard University College of Dentistry here in the nation’s capital. He completed a 1 year general practice residency at Bronx-Lebanon Hospital. He believes in staying active in the dental profession, being apart of the American Dental Association (ADA), DC Dental Society, and the American Academy of Cosmetic Dentistry (AACD). Dr. Gapud attends continuing education courses on a regular basis and enjoys staying up to date with the latest techniques and materials. He believes this allows him to make better decisions for the patient. Dr. Gapud has discovered a newfound hobby in dance, learning salsa and bachata. Whether its checking out a new restaurant or an art event, he loves immersing himself into the happenings of DC. He aspires to fulfill his desire to travel by completing dental mission trips across the world.